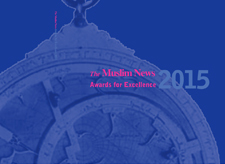 The Muslim News Awards for Excellence reflects inclusivity and diversity of the Muslim community. This was evident at this year’s award winners. It truly represented a wide array of ethnicities and backgrounds, including members of the deaf and visually-impaired communities and those with mobility issues. Once again, over 50 percent of the awards recipients were women. Over 580 people from all sections of society, from the worlds of politics, business, sport, the arts, bloggers, as well as civic and religious leaders came together to celebrate the achievements of the unsung heroes of British Muslim and non-Muslim communities on April 23 in central London. The Minister said the achievements “are something of which we should all be proud, wherever we come from in society, and can celebrate with enthusiasm, pleasure and sheer gratitude. 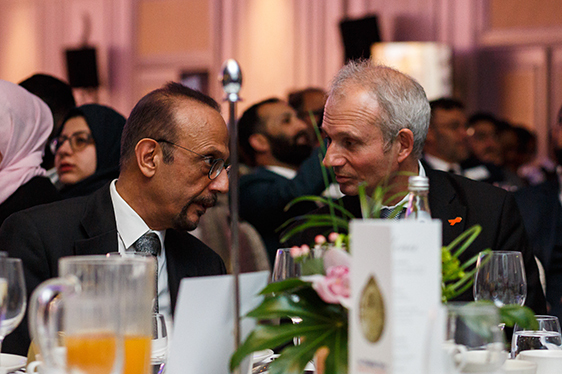 Lidington praised the Muslim community for their inspirational contributions to the society. “There really is no community which demonstrates more pride, enthusiasm and pure inspiration, than that of British Muslims across our country – many of whom are gathered here in this room tonight,” he said. 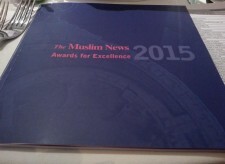 The Guest of Honour highlighted British Muslim high achievers. 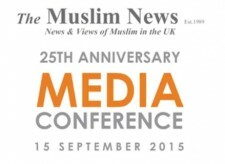 “There are British Muslims who really are the role models, the thinkers, the visionaries. Everywhere I look around this country, British Muslim men and women are leading the way in whatever field they choose. “Sir Mo Farah, with yet another record yesterday, is one of the finest sportsmen the United Kingdom has ever produced. Ahmed J Versi, Editor of The Muslim News, founder of the awards, said, “These honours are all the more important in today’s landscape. They are an antidote to the negativity that surrounds Muslims in the mainstream media. 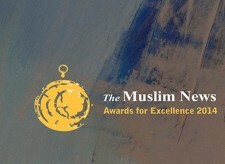 “The reason The Muslim News Awards for Excellence were created back in the year 2000 was to counter this media narrative and to help us seek out good Muslim news stories which we can all celebrate. Professor Sophie Gilliat-Ray, Chair of the independent panel of judges, said they were impressed by the quality of the nominations. 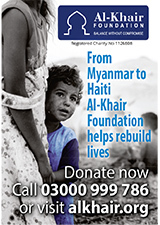 One of the guests, Mohamed Ladha, who is a Partner of St James’s Place Wealth Management, found the event inspiring. Party leaders sent congratulatory messages to the shortlisted people and winners. Prime Minister, Theresa May MP, who has attended the event in the past, said: “The achievements of British Muslims from all across our country are an inspiration to us all. From youth work, sport and the arts, to politics, business and engineering, your influence reaches every sphere of society. Opposition Leader, Jeremy Corbyn MP, said: “Every year, The Muslim News Awards for Excellence does a brilliant job of recognising the fantastic achievements made by so many in the British Muslim community. The leader of the Liberal Democrats, Sir Vince Cable MP, thanked The Muslim News for the “hard work in celebrating the achievements of Muslims. All winners received a beautifully and intricately designed brass astrolabe, the iconic symbol of the sixteenth awards ceremony. The astrolabe was a highly developed tool used throughout the Muslim world to measure the altitude of stars and planets. By the eighth century, they were used to aid navigation, locate the qiblah (Ka’bah in Makkah), calculate the lunar calendar and to assess meteorological conditions.